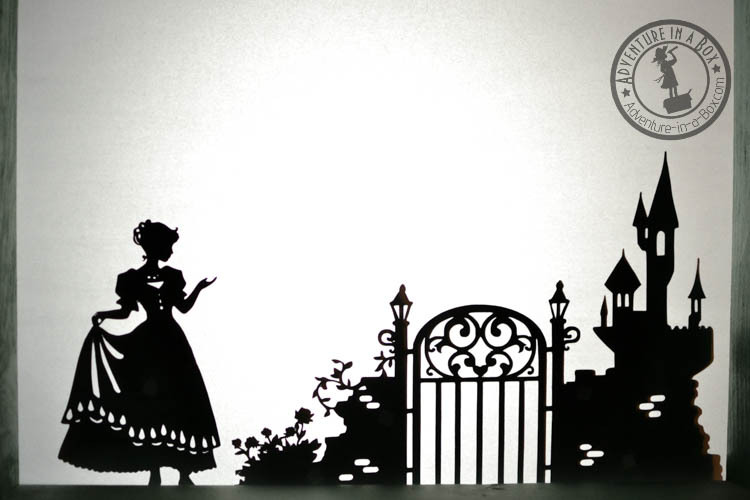 When did you hear your first fairy-tale? For most of us, the date would be unknown because our acquaintance with fairy-tales happened long before we learnt to read, maybe even before we learnt to talk. Fairy-tales are thoroughly ingrained in most people’s childhood memories, and it takes a while before we can start questioning them. That point eventually comes though. 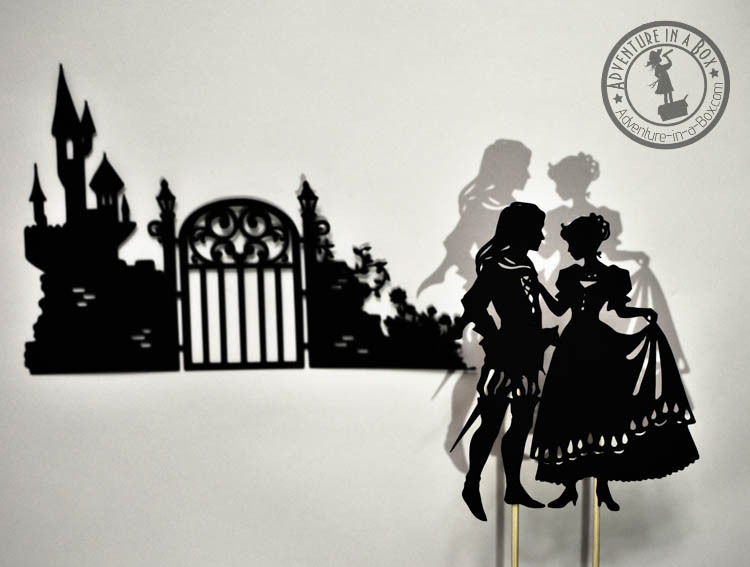 Cinderella… How many hours did she spend with her prince before she agreed to marry him? Or was it minutes? Or consider Sleeping Beauty. She woke up after a hundred years of sleep and only saw her betrothed after their first kiss had already happened. Better than to keep sleeping, I suppose, but hardly an inspiring courtship. Of all the “happily ever after” fairy-tales I can remember, only one gives any thought to developing a relationship out of mutual affection, rather than the size of a shoe. That is Beauty and the Beast. The story of a girl who learnt to love a monster for the kindness he showed to her. The story of a man who was unkind once, but succeeded in changing and finding love. Romance, character growth, and a caring hero – a winning story! 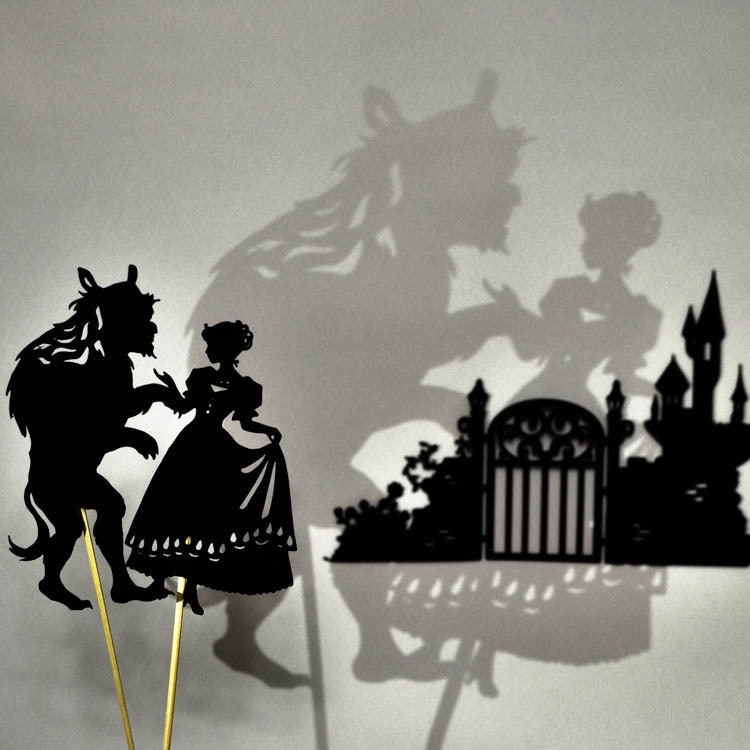 Beauty and the Beast was also a delight to turn into a shadow puppet set. 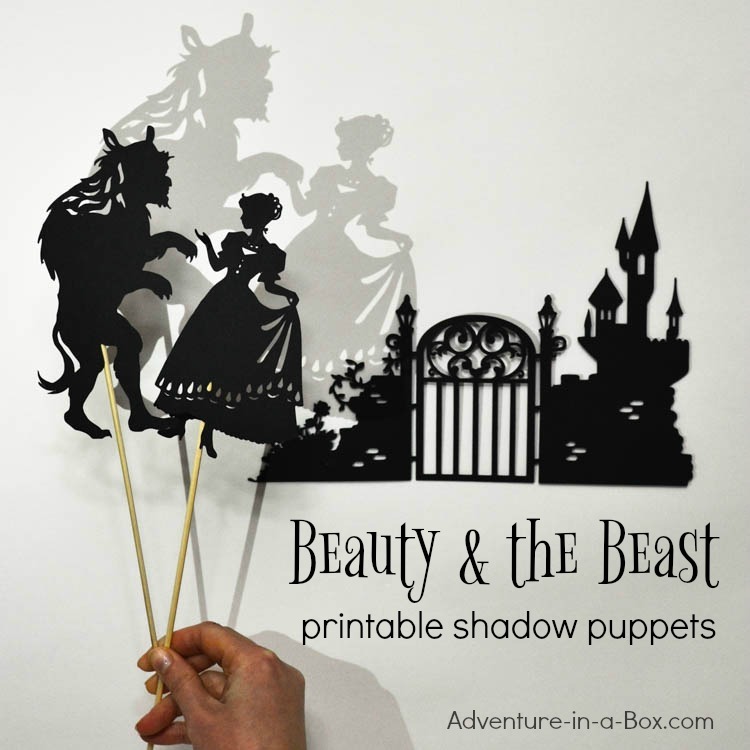 You can buy the actual set here (shipping worldwide) or get the designs for cutting your own puppets. 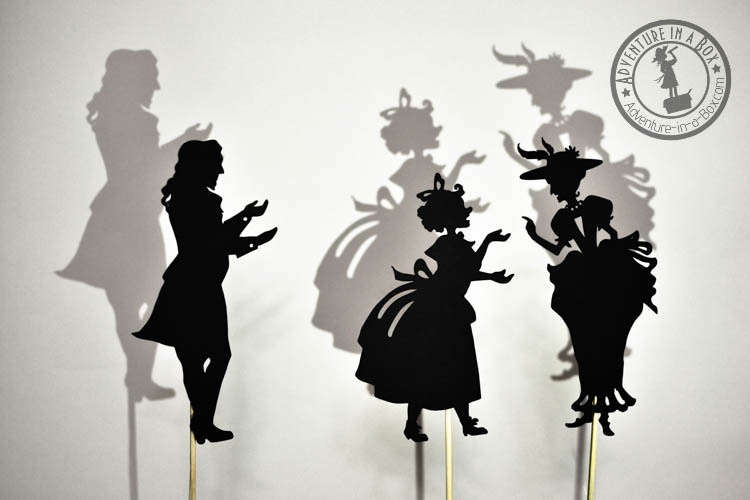 If you have a Silhouette Portrait or Cameo, your job is done. Convert the images and run the machine, using black cardstock (80-90 lb works best). If you cut by hand, print the designs on a piece of cardstock. Cut the outlines with manicure scissors. Cut inside details with a craft knife, while using a cutting mat or a cutting board. For small details, like buttons or hair, you can also use a 1/16″ hole punch. Please note that if you print the puppets on a piece of white paper, one side will be black and the other side will be white. It doesn’t influence the quality of shadows! But if it bothers you, you can blacken their back sides with marker. For sticks, I use bamboo skewers with the point cut off, attached to the puppets with a piece of tape. No matter how much I wanted to pay tribute to Disney’s charming talking furniture, the original fairy-tale had none of that. The suitor of Beauty and the rival of Beast was also absent from the story, but there was a pair of nasty sisters. While Beauty merely asked for a rose, they asked for jewels and riches. In the end of the story, when Beauty visited her family, they were the ones to make her linger, causing Beast to suffer and almost die. It was quite amusing to draw them! Beauty’s father also played an important role in the original story. It took me a few tries to make an ugly and melancholy beast, but when he was done, he was my favourite puppet. I also enjoyed drawing the scenery, with a castle behind the gates and a rosebush. Finally, Beauty and the transformed Beast. He got to keep the Beast’s mane. It’s always a good idea to refresh the tale in your memory! Different versions of a story vary certain details. I noticed that the most significant discrepancy is usually in the end of the story, when Beauty has to go away. I checked a couple of adaptations and liked the version by Ursula Jones and Sarah Gibb best. My blog friend from Book Nerd Mommy helped me find the books: you can check more of her recommendations for modern Beauty and the Beast adaptations here. If you have a flashlight or a mobile phone that sports one, find a dim room or wait until evening and cast the shadows right on the walls. My son often asks to play with shadow puppets before bed. It’s magical to watch the shadows move on the walls, growing bigger and smaller. 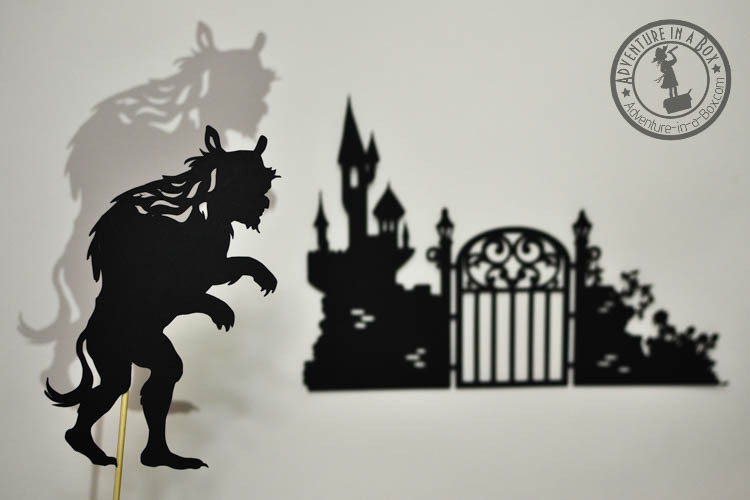 You can learn a lot about light and shadows by playing with puppets and moving the flashlight. And sometimes, during these improvised performances, the old stories get retold with fresh endings, as my son takes hold of the characters. If you want to stage a show for friends and family, create a puppet theatre from a cardboard box with a translucent screen for a stage. A while back we made a wooden puppet theatre, inspired by the vintage French puppet theatres for our shows. We use baking parchment paper and attach it over the opening with scotch tape to create a screen. Sometimes it’s fun to make tickets, posters, musical effects and such to have a full-blown pretend theatre play! Here you can find all of our puppets, as well as more ideas on how to play with them! 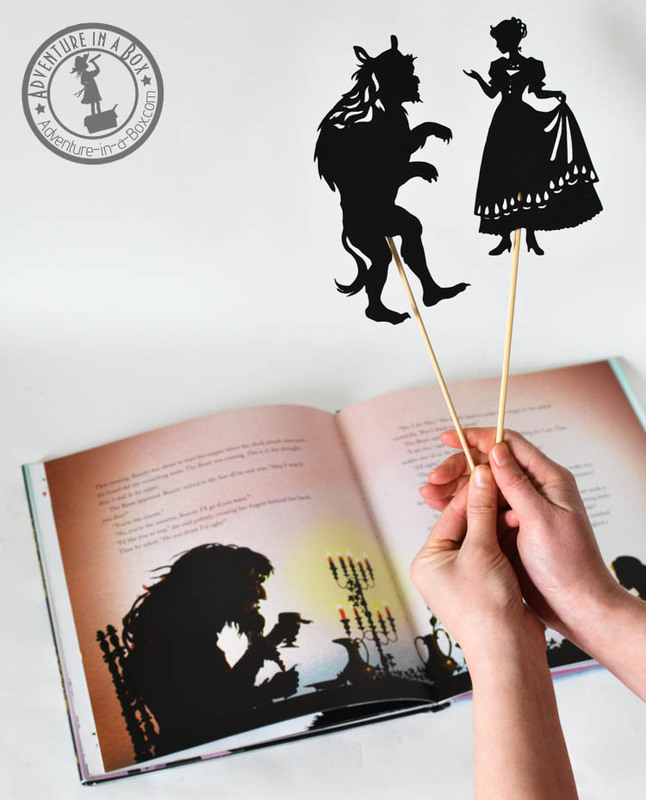 If you have a shadow puppet show, do share your photos with us! We love seeing them. You can post them on our Facebook page, email me or tag us on Facebook or Instagram – @adventureinabox!